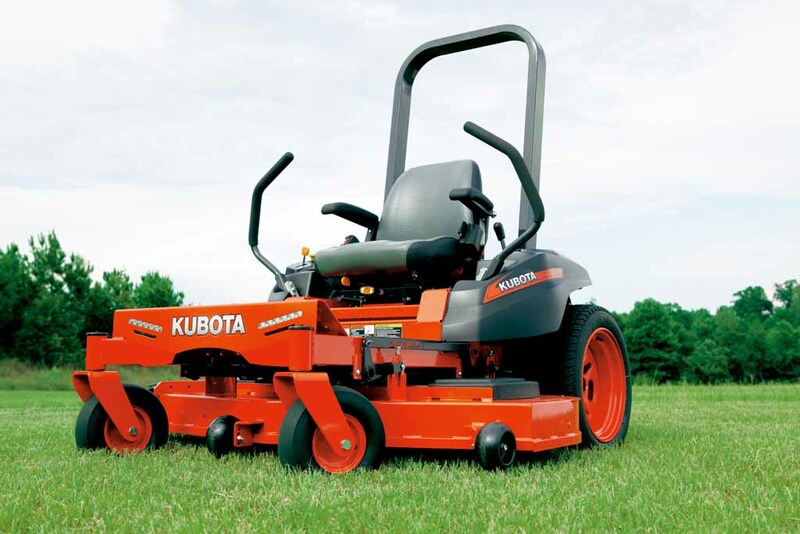 Kubota’s Z125E Kommander runs circles around the competition while raising the bar for precise and efficient mowing performance. 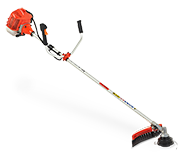 Powered by a high performing Briggs & Stratton engine and commercial grade hydro-gear transmission, this innovative zero-turn mower easily manoeuvres in and out of tight spaces without compromise to power. 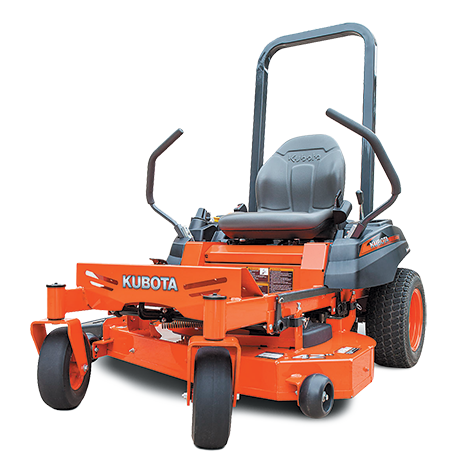 Featuring a 54″ pro-commerical deck, achieve a professional cut with Kubota’s innovative K-Lift, making adjusting the cutting height simple. Available with optional LED headlights and seat suspension. Powerful Briggs & Stratton engine provides high performance and reliability when you need it most. 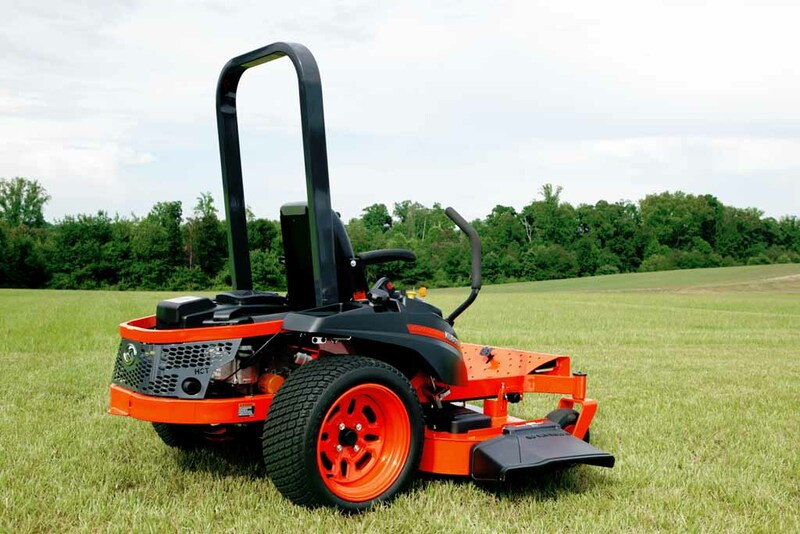 Rugged, low-maintenance and integrated transmission design delivers outstanding power and operational efficiency to the wheels and mower deck. 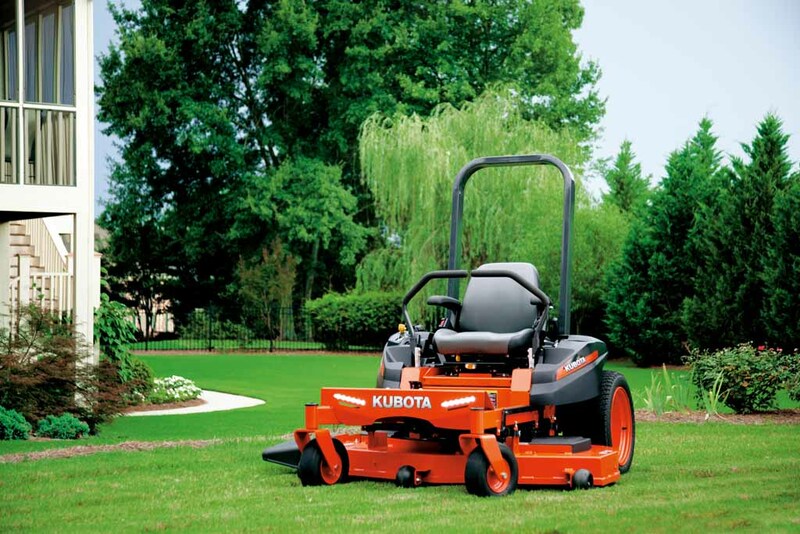 Dual operation levers provide smooth, precise control for delicate trimming and work around trees and flowerbeds. 4 Storage boxes for your tools, lunch and anything else too big or heavy for your pockets. Seat slides a full 6″ forward and back, letting you find just the right position for maximum personal comfort. 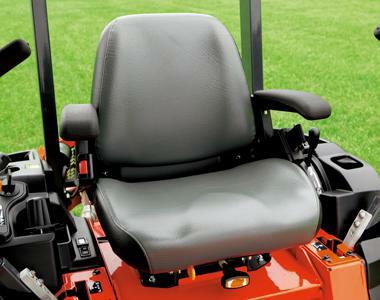 This high back seat will keep you comfortable even on those extra-long mowing jobs. Plenty of legroom up front, thanks to a wide foot pan. It also makes getting on and off a snap. Keep your drink handy in the integrated cup holders. Simple twist of a dial lets you adjust the cutting height in precise 1/4″ increments. Ergonomic control layout with all controls and indicators placed for quick, easy, user-friendly access. 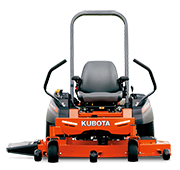 Equipped with full-height ROPS for safety and peace of mind. 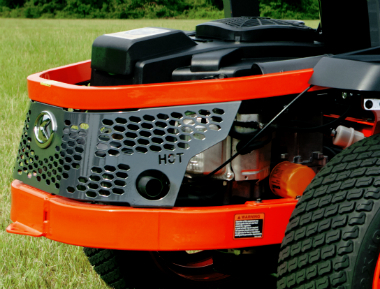 Optional LED Headlights allow you to continue mowing in low light conditions. Large Ultracaper Z rear tyres provide a softer ride, better traction and weight distribution to help protect your lawn. 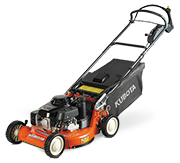 10 gauge steel, welded 42″ mower deck provides outstanding, professional-level cutting performance. 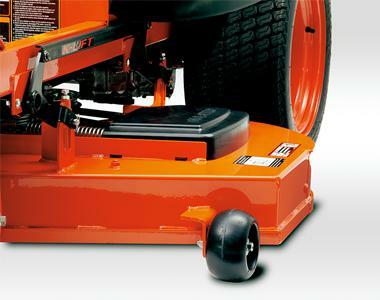 K-Lift mechanical one push deck lift pedal makes adjusting the cutting height simple.